Gov. Bill Walker announced his nominees Tuesday to fill three seats on the Alaska Board of Fisheries, and one of them is back for round two. Gov. Walker again chose Soldotna’s Robert Ruffner for the board, just a year after the recently retired executive director of the Kenai Watershed Forum lost a contentious confirmation battle in the Legislature. The governor also selected Alan Cain, of Anchorage, and Israel Payton, who grew up in Skwenta and now lives in Wasilla. Cain is a natural resources enforcement adviser and trainer, with a 40-year career as an Alaska Wildlife Trooper, criminal justice planner and private contractor. In that time, he spent 15 years as an enforcement adviser to the Alaska Board of Fisheries, according to the governor’s office. Payton grew up living a subsistence lifestyle, worked as a hunting and fishing guide in Southcentral and Western Alaska for nearly 20 years, and is a member of the Matanuska-Susitna Fish and Game Advisory Committee. He currently works as a salesman for Airframes Alaska. The governor’s office notes Ruffner’s experience as an environmental scientist and head of the Kenai Watershed Forum among his qualifications, as well as his positions on the Soldotna Chamber of Commerce Board of Directors, Kenai Peninsula Borough Planning Commission and North Pacific Anadromous Fish Commission Advisory Panel. Local efforts to host a Board of Fisheries meeting on Upper Cook Inlet issues in the Kenai area have again netted no results. In a somewhat circuitous discussion Dec. 8, the Alaska Board of Fisheries underlined its decision from a year before to hold its 2017 Upper Cook Inlet meeting in Anchorage, rather than moving it to the Kenai Peninsula. 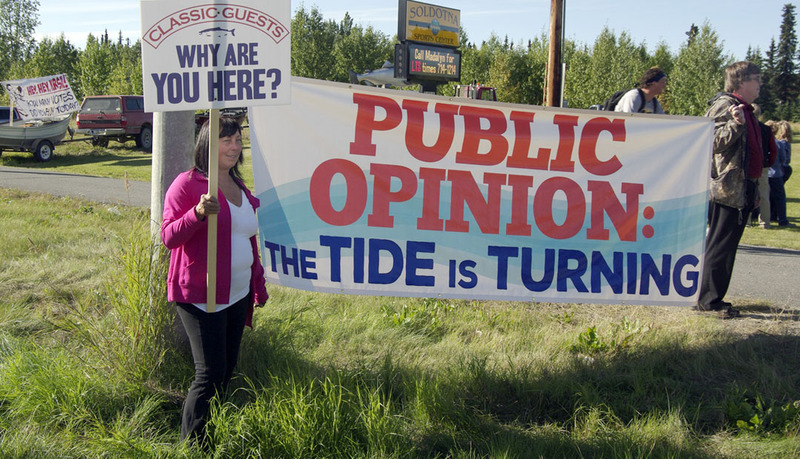 The board hasn’t held an Upper Cook Inlet meeting on the Kenai since 1999, despite regular pleas from municipal governments, fishing organizations, business groups and individuals to do so. The board first decided on Anchorage in October 2014 during a work session held in Juneau, but a problem with the venue led the scheduling issue to resurface in October this year, prompting another round of requests to hold the meeting on the central Kenai Peninsula. Gov. Bill Walker was among those writing letters asking the board to consider a location change for the Upper Cook Inlet meeting, even pledging to come to the meeting if it’s held on the central peninsula. The board voted 4-3 to address the location issue at its Bristol Bay meeting, held last week in Anchorage, but that didn’t stop board members from grousing about the discussion. “I agree with the other board members that this is a real distraction on a meeting that I felt required our full attention. I guess I’m very disappointed in that, that we would be getting so many letters and so many comments right in the middle of an important meeting for some other folks,” said Bob Mumford. The board spent over a half an hour Dec. 8 debating both sides of various points, fairness being one. Board member Reed Morisky listed the seven fishery allocation criteria the board is tasked to consider in making fishery decisions as justification for holding the meeting in Anchorage, under the argument that the majority of the sport- and personal-use participants in the Kenai-area fisheries live in Anchorage or the Matanuska-Susitna Borough. As for fishery users on the Kenai, board member John Jensen said that Anchorage meetings aren’t that difficult to attend, especially with web streaming of proceedings and agendas posted online. “They can come up when they need to do public presentations or talk to the board members. We’re not hiding. Anchorage is an easy place to get to for all user groups,” he said. Sue Jeffrey and Fritz Johnson also cited allocation criteria, but in support of meeting in Kenai. Photo courtesy of Christine Cunningham. Time takes on a different meaning in the outdoors. We had been on the boat for 11 hours when the captain suggested we stay out longer and fish for king salmon. We had already caught a limit of halibut. That was the plan for the day. I had agreed to fish for halibut. No one had once mentioned fishing for kings or spending more than 11 hours on a boat. I briefly felt that I’d been kidnapped. While the three others assembled the down riggers necessary to fish for kings, I mentally began to fashion means of escape by assembling an array of useful objects. Dare I ask, I wondered, how long we were going to be out? The invite to go fishing only had a start time. I’d failed to ascertain when the party would end. These uncoordinated expectations could cause three people to be having the time of their lives, while the person who didn’t pack three square snacks (me) to be like Daffy Duck sizing up the others for a meal. The more time I spend outdoors on uncoordinated fishing expeditions, the more I realize that the clock on the wall at the office is no longer valid. Time in numbers is meaningless in the outdoors. Even the terms used to describe time cannot be taken literally. Based on my experience working in offices, time is very literal to me. It’s not just the hours and minutes. There is lunchtime and break time and other designated times. All of that was clearly out the window, since the boat didn’t have a window. We were on fishing time, and that was a very scary form of timekeeping. Because I care about my fellow human beings who may count time as I do, it is necessary to share some of the things I’ve learned about declarations of time in the outdoors. Early. If you ask what time we will be leaving the next morning and the answer is “early,” beware! Early is an adverb, not a noun, and it is closer to the word “soon” than “morning.” Some people think 8 a.m. is early. It is not. Early can be any time after midnight. Redoubt Reporter file photo by Joseph Robertia. 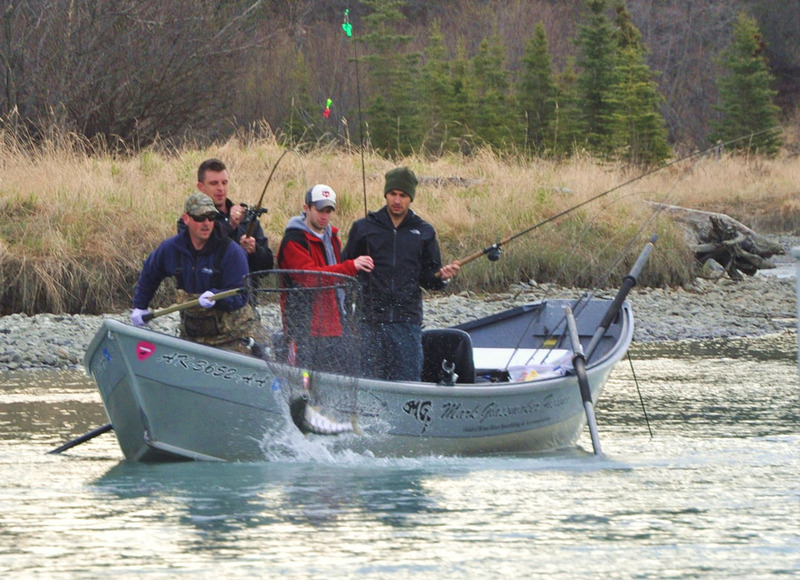 House Bill 41 would reinstate licensing and log books requirements for all fishing guides in Alaska — including those on the Kenai and Kasilof rivers — as seen here guiding for kings. The previous program sunsetted in 2014. Effectively, not much would change with the passage of House Bill 41, which would re-establish the fishing guide registration and logbook program in Alaska that sunsetted in 2014. And the biggest change — increasing the fee structure $50 to $100 for guides and guide businesses — didn’t get much response at a public meeting in Soldotna on Nov. 17, held by the Alaska Department of Fish and Game to get feedback on the bill. But guides did have comments to make on how the program works — or doesn’t, or could, at least, work better. Andy Szczesny, owner of Alaska Fish and Float, who guides for resident species on the upper Kenai River, talked about pouring rain soaking the paper logbook sheets, and clients giving him fishing license information on a smartphone, where he can’t verify the information himself. “It’s difficult at times. And believe it or not, we can make a mistake, and we could get a ticket, any one of us in this room that’s a guide. If you say you can’t, you’re better than me after 31 years doing this,” he said. Szczesny and other guides at the meeting said the logging requirements are too cumbersome and the potential for fines too onerous. 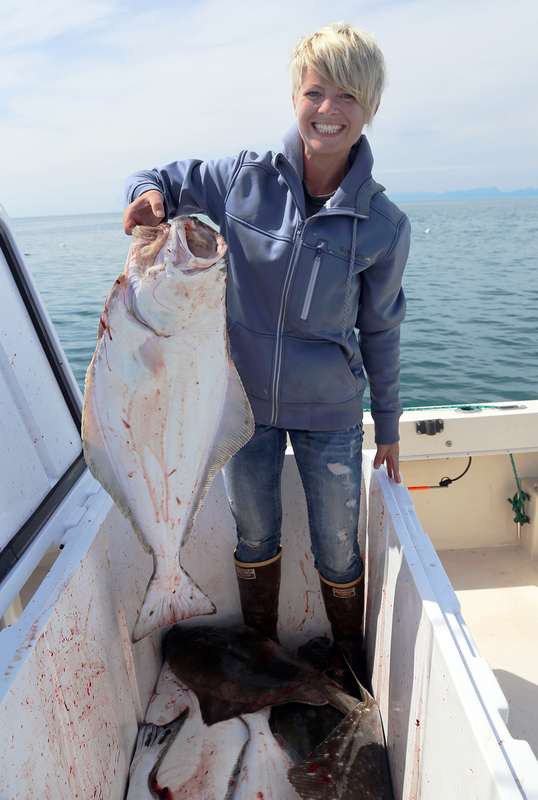 Mel Erickson, of Alaska Gamefisher, runs halibut charters in the saltwater as well as river guiding for salmon. He said that it can be difficult for guides to complete the forms how and when they’re supposed to. “You’re out there in the rough water and you’ve got six people you’re dealing with and some of them are puking, and some of them are scared. And then you get in and you’re trying to deal with that and they just want off the boat right away and there might be some stuff you don’t have filled out yet. Eventually, you’re going to get it filled out but sometimes the timing of it just doesn’t happen when it’s supposed to be done,” Erickson said. To complicate matters, logbook requirements are different for salt water versus freshwater guiding, and the consequences for error can vary, as well. Five different agencies have authority to check logbooks. Citations issued by an Alaska agency — like Fish and Game or Alaska State Troopers Division of Wildlife — would incur fines according to the state bail schedule. Some federal agents are commissioned to write citations on behalf of the state of Alaska. But if others, like NOAA, issue a citation, it could go through federal court in Anchorage. And if a citation is given in the Kenai River Special Management Area, the guide could be on the hook for further consequences from the state Parks department, including losing out on wages from a three-day suspension, Szczesny said. As a result, Szczesny said, some guides might throw away their logbook entry sheets and receipts if they think they could get a citation, and Fish and Game would lose out on that information. A screen shot of the ARIS sonar interface shows fish images picked up by sonar in the Kenai River and counted by technicians to track the king salmon escapement in the river. The black computer screen lit up with blueish flashes moving across the window. It looked like a maternity ultrasound, but the images weren’t depicting the developing limbs of a baby. Clear as day — or clear as night with a high-powered flashlight — the display showed fish swimming by. “When we went from split beam to DIDSON it was like turning a flashlight on underwater because you could ‘see’ so much more. You could make out what was going on so it was more than just these funny squiggly lines,” said Jim Miller, Kenai chinook sonar project biologist with the Alaska Department of Fish and Game. The difference in the king salmon sonar program in the Kenai River 10 years ago to today isn’t quite “I-was-blind-but-now-I-see” biblically dramatic, but the advancement is revelatory. When Miller started in Alaska’s salmon-counting sonar program in 1992 on the Nushagak River, Bendix sonar was the technology of the day. 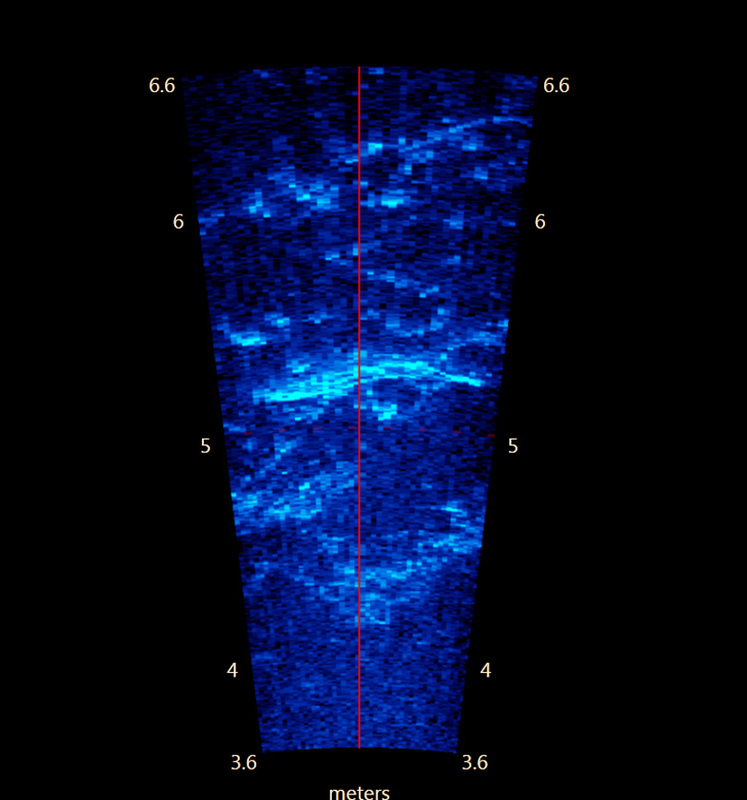 The interface spat out data on a paper tape and displayed the echoes bounced off the fish on a tiny oscilloscope screen. “You could see the blips on the oscilloscope as the fish went by and that’s all you had — a blip on an oscilloscope and a tickertape,” Miller said. On the Kenai, king counting used to be done with split-beam sonar. The echoes from the low-frequency sound waves appeared on a computer screen as a series of dots in patterns called fish traces. Technicians would count the fish traces to determine the number of fish passing by, and use the pattern of echoes to determine whether it was a larger fish — a king salmon — or something smaller, such as a sockeye. “And then split beam, you had an echogram where you could see squiggles of fish going through. They were just squiggles, but you get the ‘S’ shape to them so they look like a fish swimming through,” Miller said. While S-shaped squiggles were an improvement, split-beam left a lot to be desired. It was difficult to differentiate kings from other fish, and to tell fish apart when swimming next to each other. The sonar location, too, was a challenge. At River Mile 8.6, it was close enough to the river mouth that water levels were tidally influenced. At higher water fish could swim behind the transducers and be missed. It was assumed that kings stuck to the deeper water midriver while sockeye preferred to hug the shore, but biologists eventually realized that wasn’t always the case at that site, with water levels and currents being variable. Plus, the site was continually plagued by debris. “On the outgoing tide was the possibility of damaging your gear because of the big trees. At the end of last season we actually had a huge tree come down and hook onto this sonar and pull it downstream about a half mile and snap the cable. The only reason we were able to retrieve it is because the guy on shift saw it going down and so he jumped in the boat and followed it,” Miller said. Photo by Jenny Neyman, Redoubt Reporter. Sen. Lisa Murkowski speaks at the Classic Roundtable on National Recreational Fishing put on by the Kenai River Sportfishing Association on Wednesday in Soldotna. Don’t let the term “recreational” mislead you, sportfishing is serious business, and panelists at the Classic Roundtable on National Recreational Fishing made the case for it to be taken more seriously in public perception and federal fisheries management. The roundtable was put on Wednesday at the Soldotna Regional Sports Complex by the Kenai River Sportfishing Association as part of its annual Kenai River Classic fundraising event. The panel consisted of various national leaders in the sportfishing community, representing Yamaha Marine, the National Marine Manufacturers Association, Center for Coastal Conservation Board of Directors, American Sportfishing Association, Alaska Oil and Gas Association, Theodore Roosevelt Conservation Partnership and the Coastal Conservation Association. Alaska’s congressional delegation participated (Sen. Lisa Murkowski in person, with Sen. Dan Sullivan sending his chief of staff, Joe Balash, as Sullivan was unable to attend), and of the 30 or so people in the audience, several were state politicians, though no elected or governmental officials representing the Kenai Peninsula were in attendance. The two-hour presentations tackled the 20-year future of recreational fishing, with a look at current challenges and how to meet those challenges in the future to ensure that recreational fishing and its contribution to the economy and conservation continue to grow. Martin Peters, manager of government relations for Yamaha Motor Corp., USA, and moderator of the event, detailed some of that contribution.